Design is creativity with precision. Painting is creativity with abandon. Each reinforces the other. 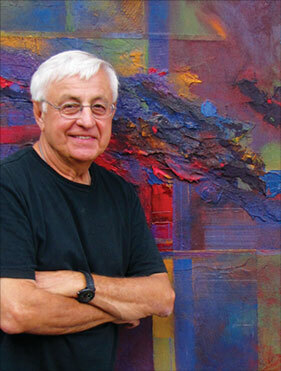 As a painter, I am very influenced by my life¹s work as a graphic designer, creative director and art director. As a designer, my approach to painting informs my work in a way that makes it richer and more interesting. Painting and Design are my creative response to events or things that affect and intrigue me or make me curious. My response to them makes me more alive, intense and motivated. My work is conceptually driven and is a fusion of intellect and emotion, thinking and passion. My paintings represent multiple styles. I approach each painting with a concept, just as I do as a designer. The concept flows naturally out of my reaction to an idea, need or set of circumstances and is defined by it. This has resulted in paintings or design that vary widely in execution because the stimulus is different each time I start to paint. This keeps life and art varied and exciting.